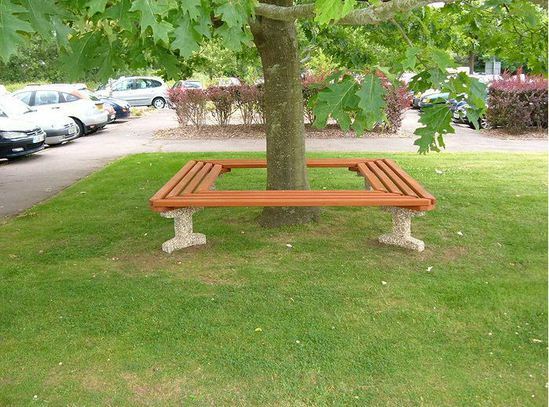 The Southampton is a tough and strong tree bench that requires minimal maintenance making it ideal for school playgrounds. The 45mm thick hardwood slats have fixings recessed below a hardwood plug to deter vandal access. As with all hardwood, if left to weather naturally the timber will fade to a silver grey colour with no loss of strength. To retain the depth of colour a wood stain can be applied every few years. 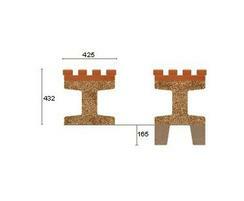 Alternatively top quality pressure treated softwood can be supplied. 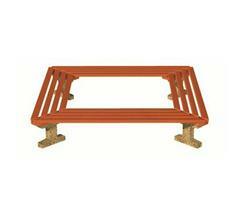 Bench supports have a tough exposed aggregate finish. Non-standard sizes are available to order. 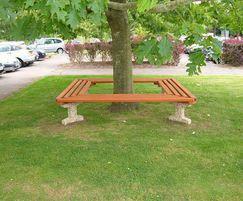 Part of the Southampton range of traditional style street furniture. The Southampton bin is made of exposed aggregate concrete. Where required, concrete products can be finsihed ina range of colours or with smooth surfaces.